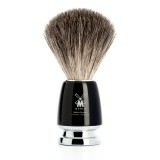 MÜHLE RYTMO - High-Grade Black Resin Pure Badger Shaving Brush. 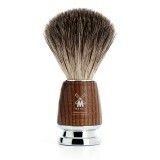 ..
MÜHLE RYTMO - High-Temperature Treated Ash Pure Badger Shaving Brush. .. 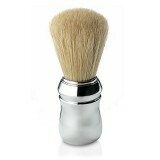 Ideal for Beginners: Hand-Finished Pure Badger Shaving Brush (P1020B) available in Imitation Ivor.. 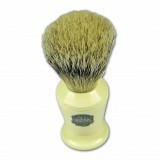 Ideal for Beginners: Hand-Finished Pure Badger Shaving Brush (P1020) available in Imitation Ivory.. Handmade - lathe turned handle finished in faux Ivory handle. Height: 55mm Overall brush .. Handmade - injection moulded handle finished in faux Ivory handle. Height: 51mm Overall b.. Handmade - lathe turned handle finished in faux Ivory handle. 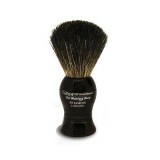 Height: 51mm Overall brush .. Handmade - injection moulded handle finished in faux Ivory handle. Height: 55mm Overall b.. Handmade - lathe turned handle finished in faux Ivory handle. Height: 45mm Overall brush .. Handmade - lathe turned handle finished in faux Ivory handle. 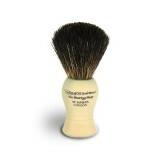 Height: 54mm Overall brush ..